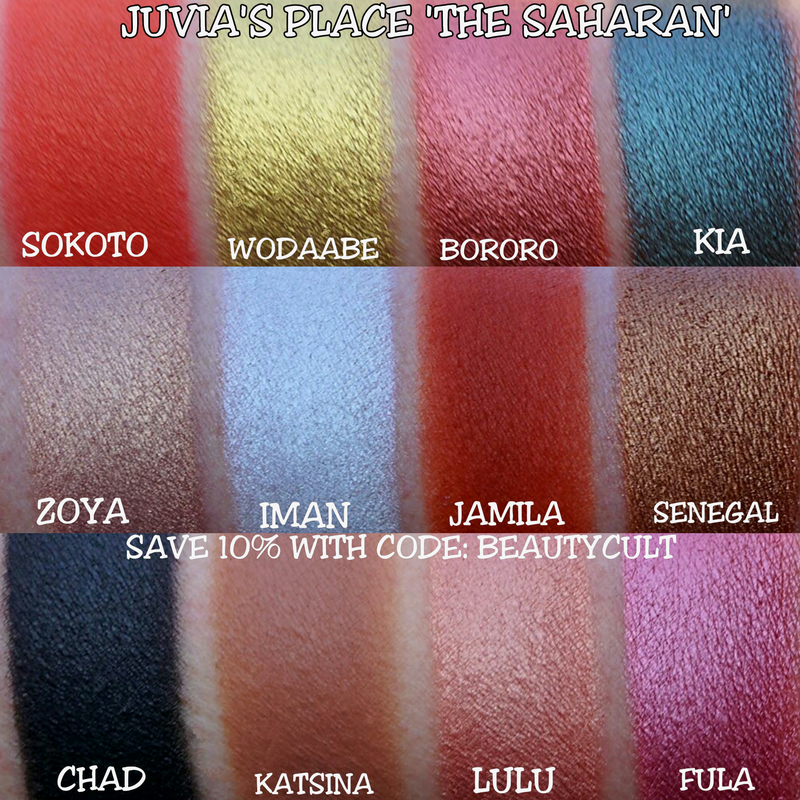 Juvia’s Place newest palette, THE SAHARAN, will be released on Saturday, January 28 at 4pm EST. It will retail for $28 but if you’d like, you can use our affiliate code: BEAUTYCULT to save 10% bringing the total down to around $25. Before we get into it, I had to show you Juvia’s new mailer! How cute is that box? I’m definitely going to be using it for storage. Here’s the front of the palette. It’s red with mint trim. It has the three faces on it, similar to their previous palettes but this is a Fulani girl not Nefertiti as in the past. And here’s the back. As always the inspiration for this palette comes from African culture. THE SAHARAN was specifically inspired by the Wodaabe festivities of the Fulani culture. At the end of September the Wodaabe people gather together and the young men dress up in elaborate costumes and makeup and perform songs and dances to impress the marriageable women. Here you can see how it compares in size to the other palettes. It contains the same amount of product as the original Nubian palette (18g/ .63oz) but the palette is slightly larger and the pans are a little more spaced out. Okay. 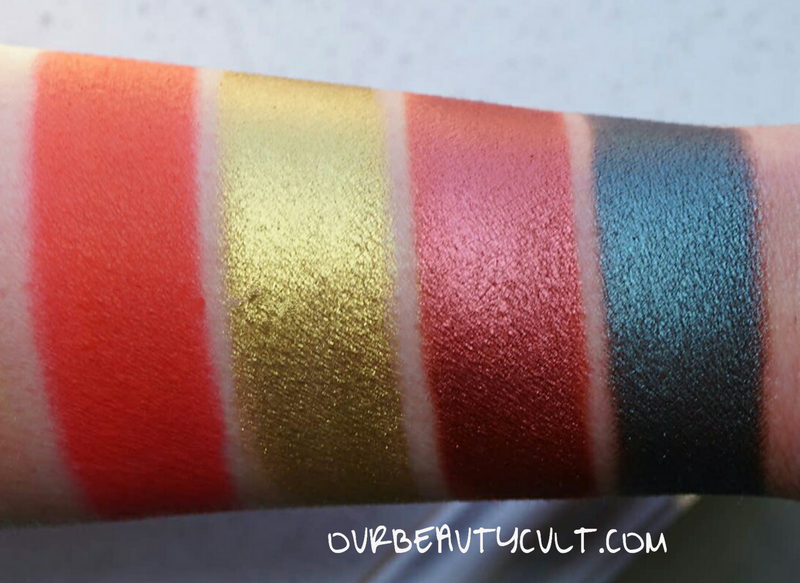 Who’s ready for swatches?!?! 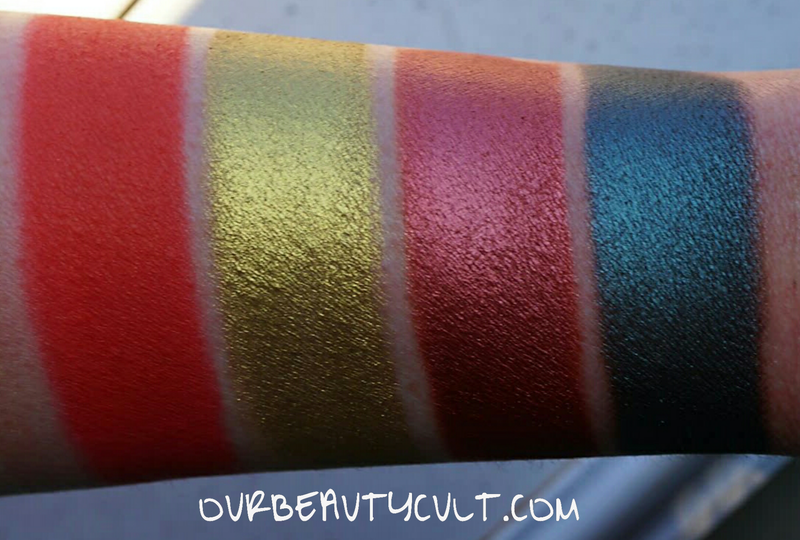 The palette has 12 shadows, 4 mattes, 2 satins and 6 ‘foiled’ metallics. 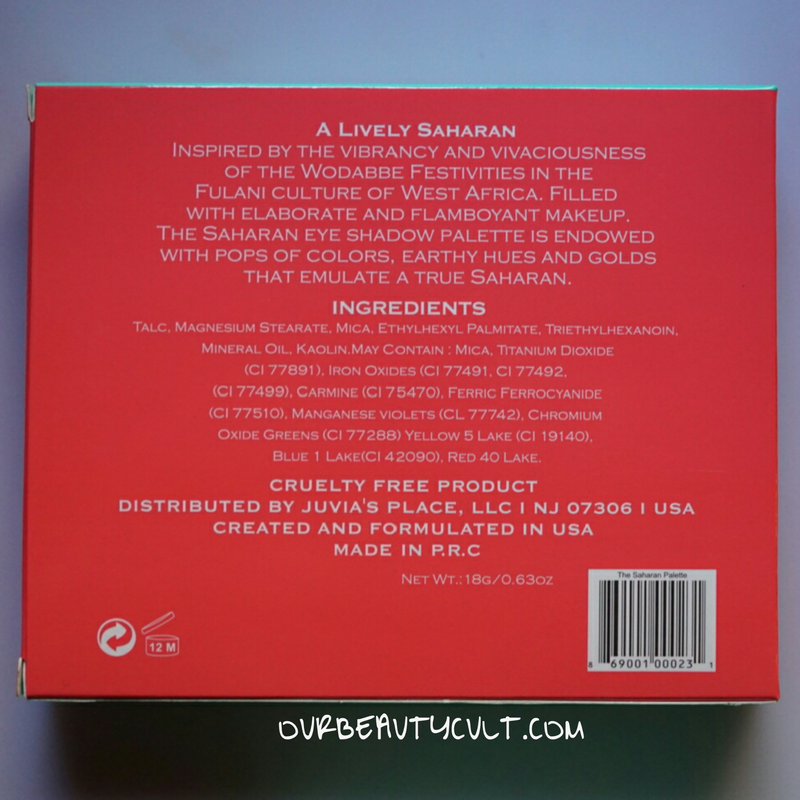 SOKOTO is a bright reddish orange matte. 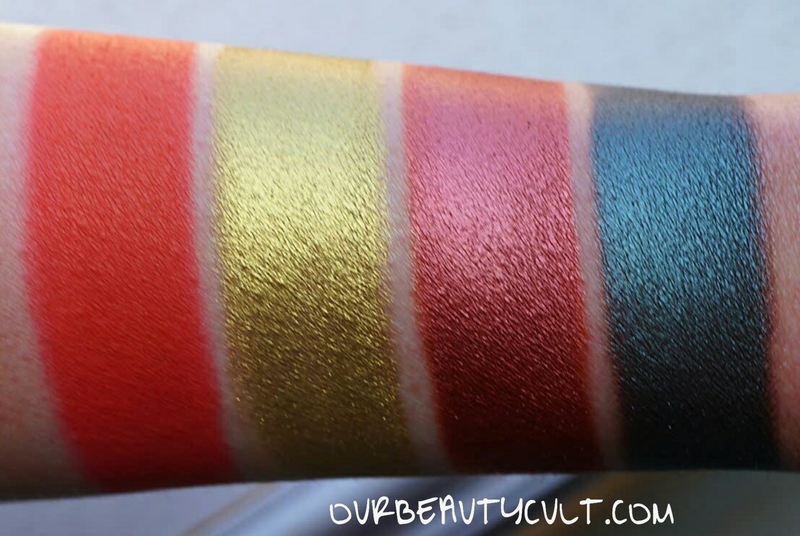 I think it’s similar to SLOWBURN from the ELECTRIC PALETTE. The color pay off is perfection and it blends flawlessly. WODAABE is a rich metallic true gold. BORORO is a metallic cranberry. KIA is a blackened metallic teal. The texture of these three (and all the other metallics in this palette) is dense, rich and creamy. They apply easily with a brush and the pigmentation is intense. ZOYA is a pale peachy gold with pink undertones and a satin finish. It’s somewhat similar to CARLOTA from Juvia’s single shadows but lighter and a lot less pink. ZOYA was the only shadow that gave me a little trouble. I had to layer it a few times to get a large, opaque swatch. 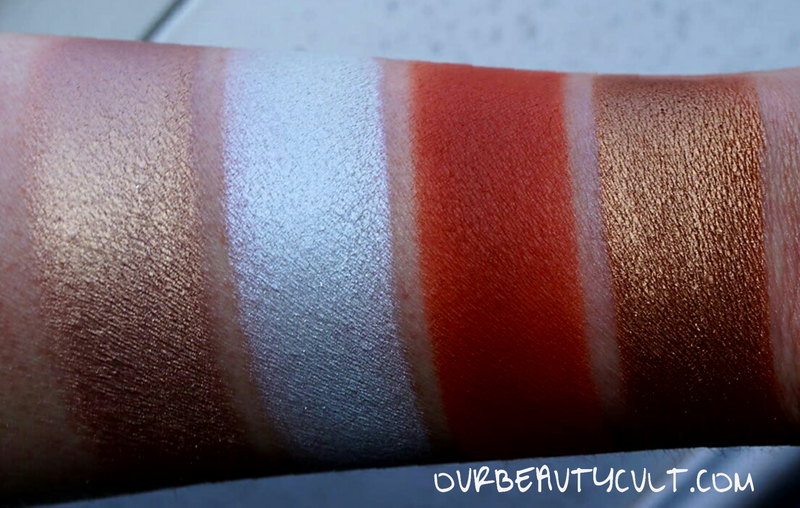 IMAN is a pure pearly white with a satiny metallic finish. JAMILA is a matte brick red. It’s similar to MOROCCO from NUBIAN 2 but more red. 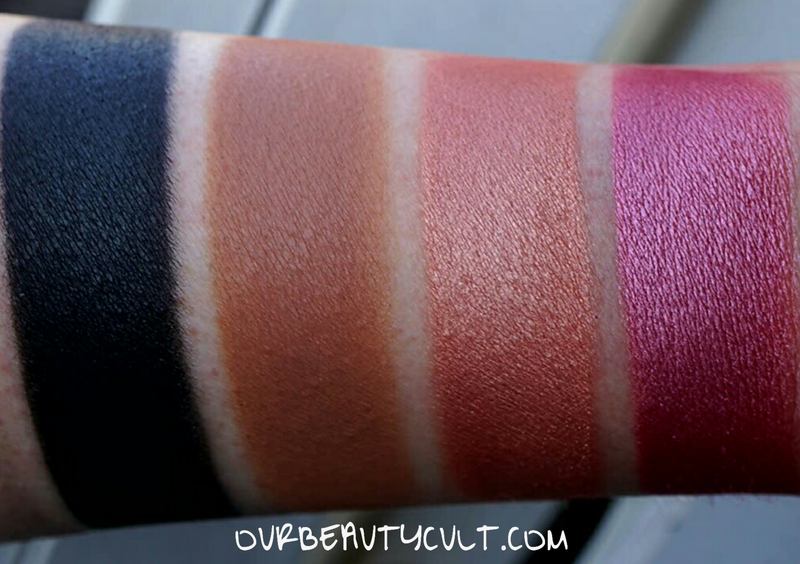 As with all of Juvia’s mattes, it’s smooth and creamy. No patchy-ness here, girls and boys! SENEGAL is a metallic bronze. 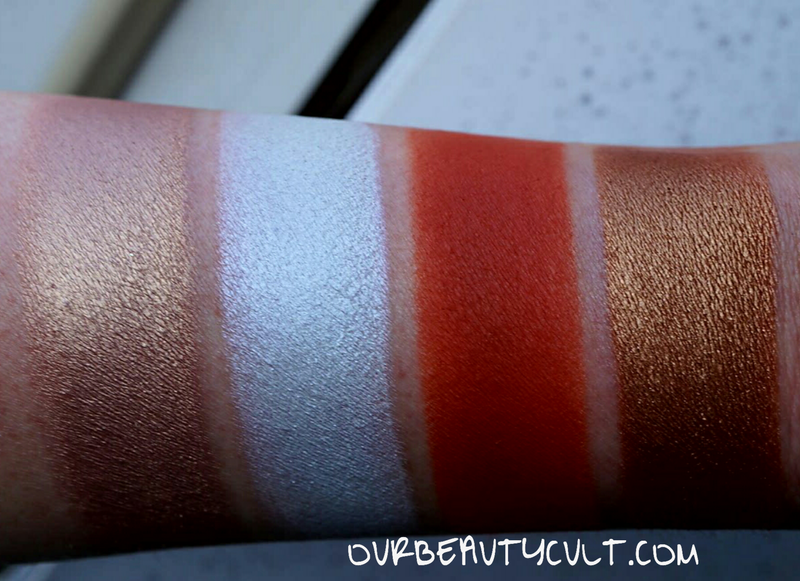 It’s similar to CASABLANCA from the MASQUERADE PALETTE and the single shadows but it’s lighter and less copper and it doesn’t have any glitter. CHAD is a matte black. I was so happy to see this color since I felt that it was something the Juvia’s collection was lacking. And it’s a good one! It’s dark, opaque and richly pigmented. KATSINA is a soft fawn brown. 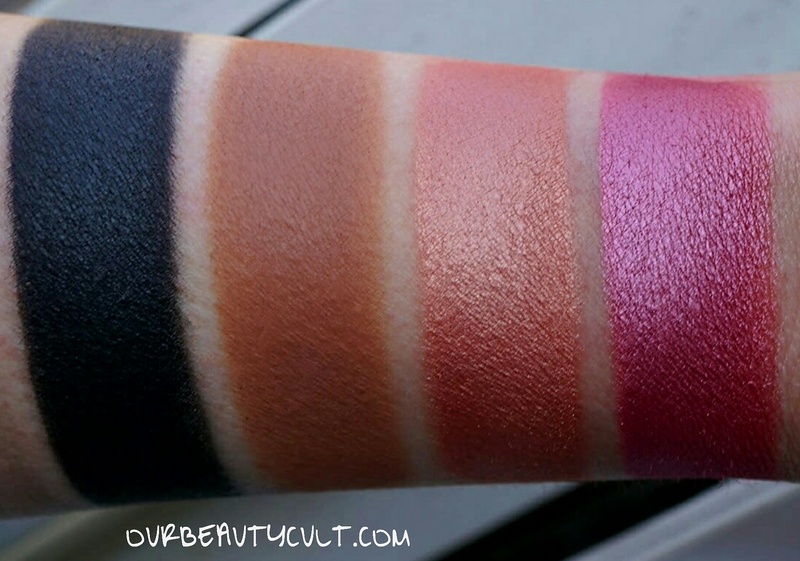 It’s similar to a brown in the top row the original Nubian palette but it’s a little cooler and more taupe. LULU is a pale salmon pink with peach undertones and a satin finish. FULA is a medium pinky cranberry with a metallic finish. 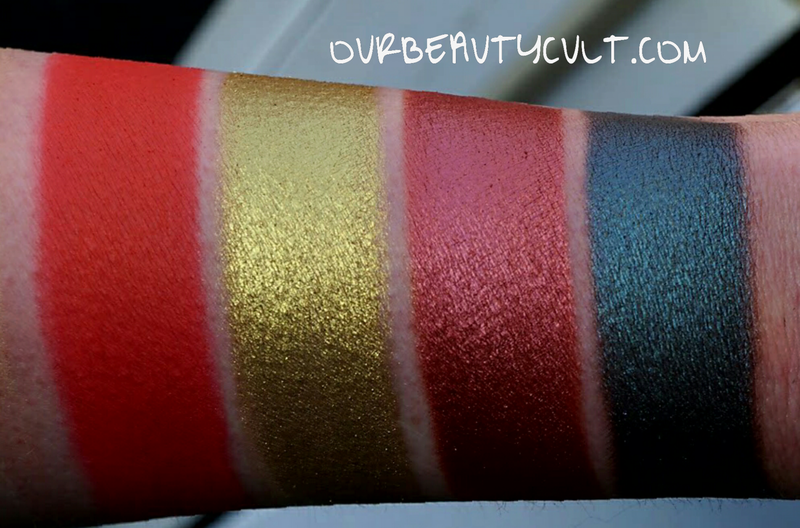 And here’s one more look at all of the swatches together! 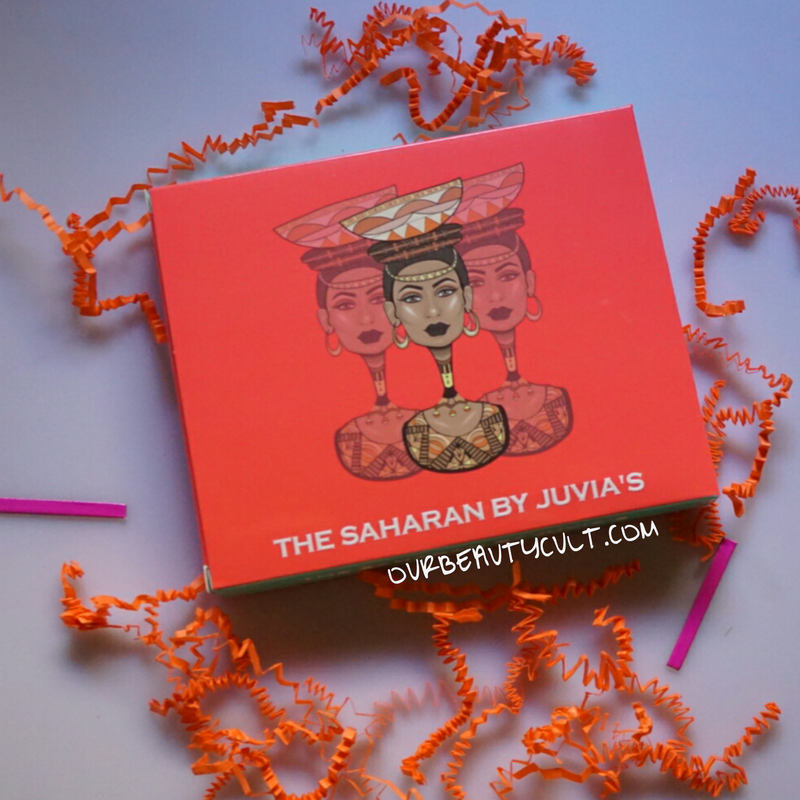 I highly recommend THE SAHARAN and all of the Juvia’s Place palettes for that matter! 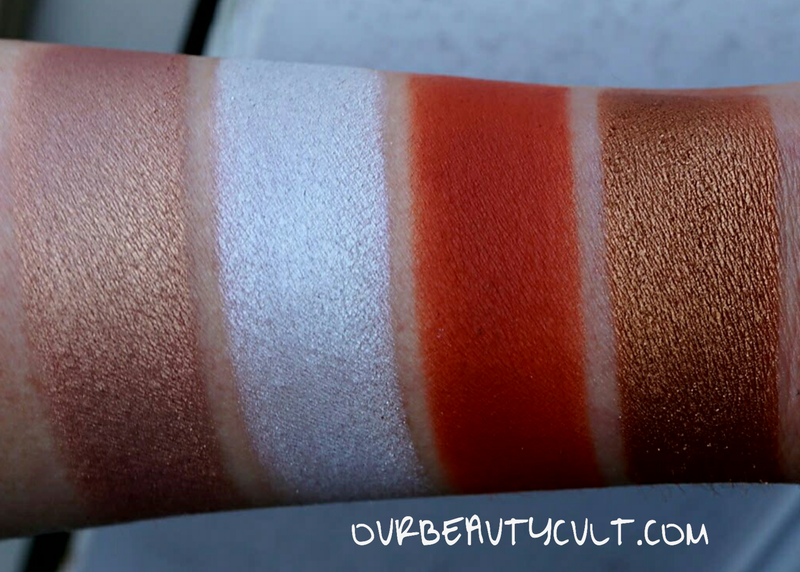 The formula is consistent with what we’ve seen in her previous palettes. 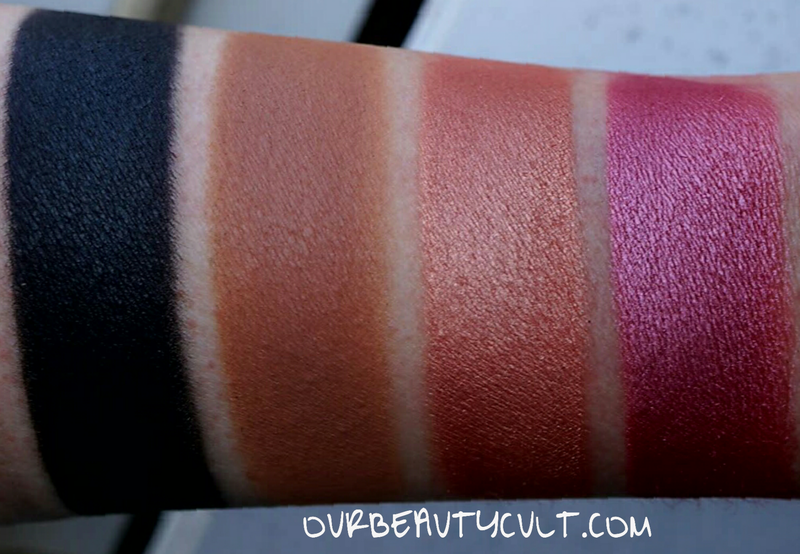 The mattes are smooth, pigmented, buildable and easy to blend. The metallics are ridiculously pigmented and easy to work with. As I mentioned, I only had an issue with one of the shadows, ZOYA. And it wasn’t really even an issue. It just wasn’t as pigmented for me as the other shadows but it still layered nicely. 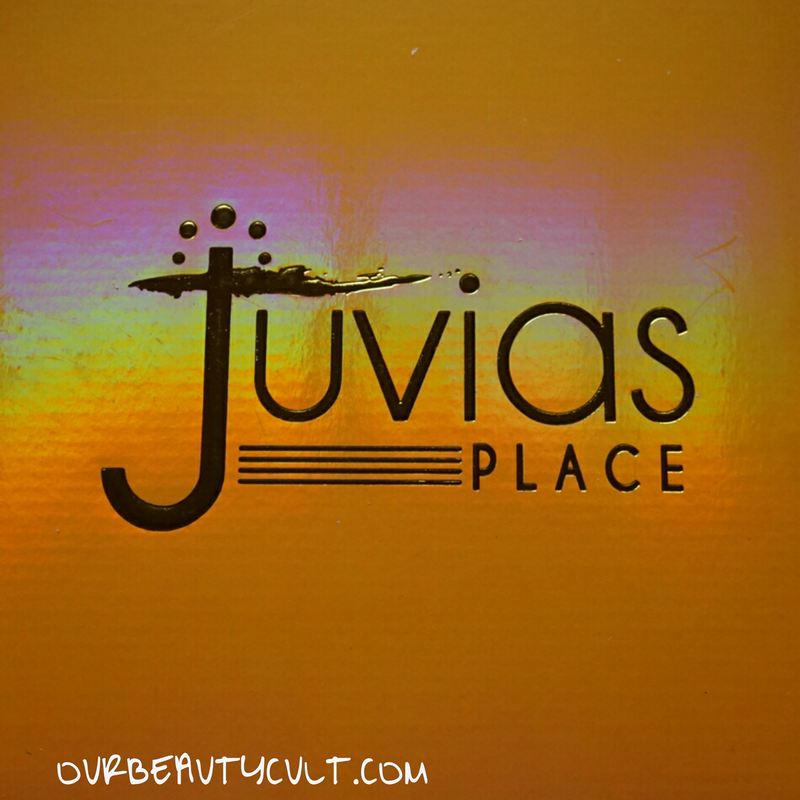 I love the mix of colors and neutrals that Juvia’s Place is known for. I honestly can’t pick favorite shades, all of the mattes are utter perfection and the metallics are great too. 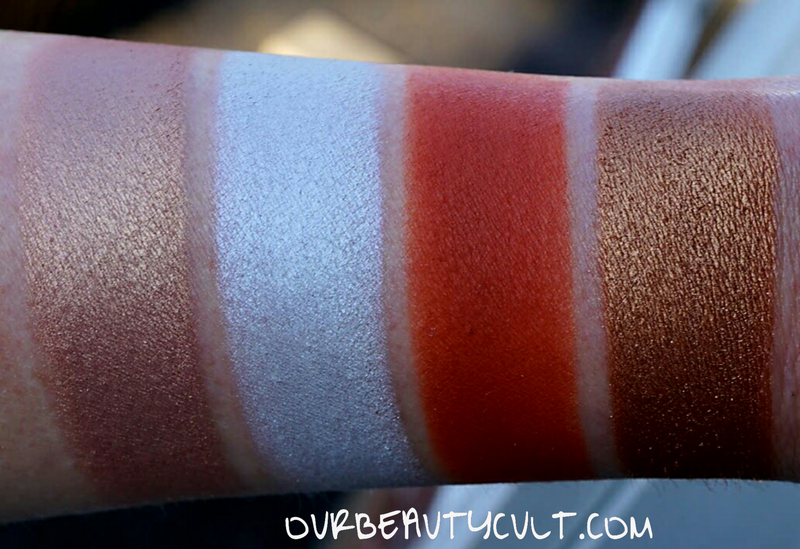 The pigmentation is excellent and they’re long wearing with minimal fallout. The Saharan eyeliner kit will also be released on Saturday and will retail for $10.50! I’ll post my review on that soon! I’m still testing the liners longevity. 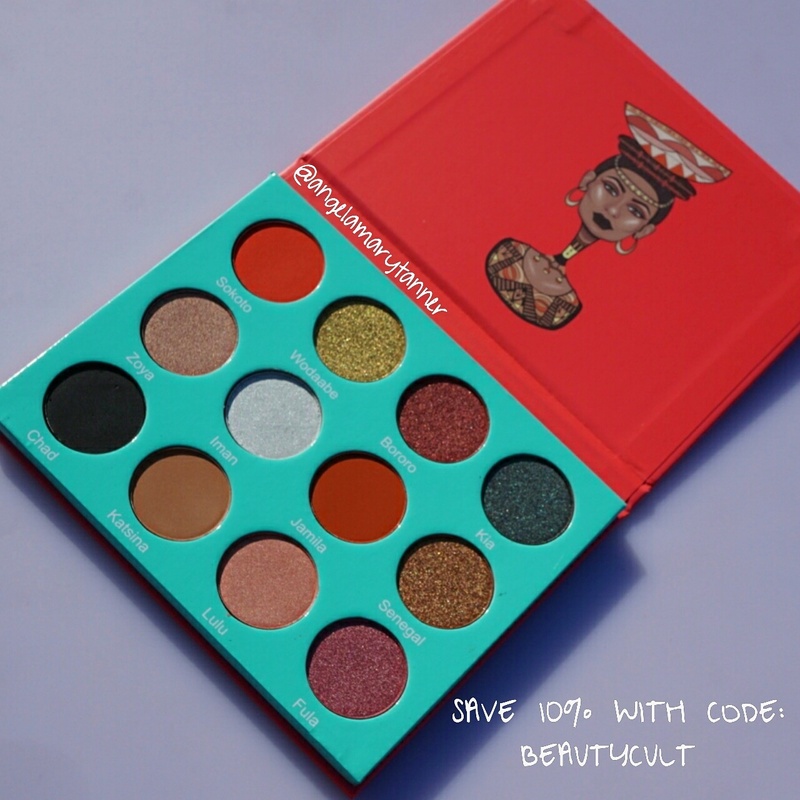 And thank you in advance, if you choose to use our affiliate code: BEAUTYCULT when ordering! 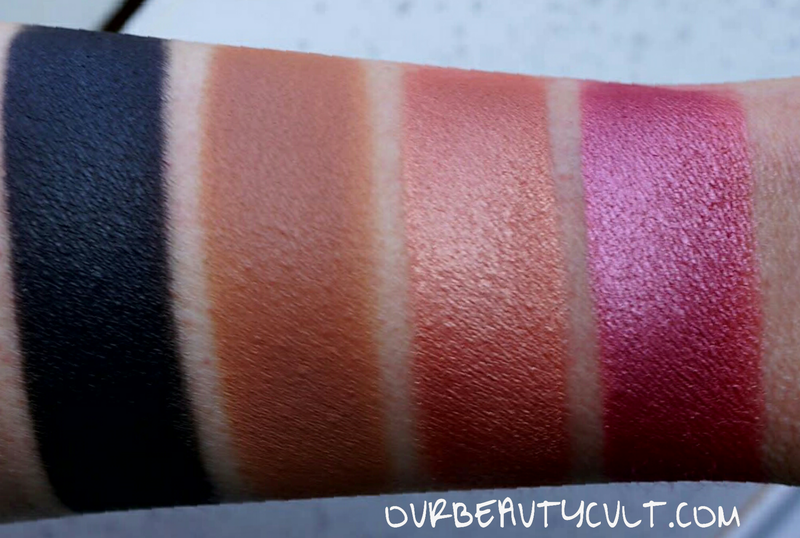 We appreciate your support and we want to continue to be your go-to spot for makeup reviews and swatches! Reblogged this on Blog my life, love my Blog. Occasionally I use a ‘selective focus’ feature on my camera because I think it better showcases shimmer. But thank you for your suggestion. I’ve ordered twice from Juvia’s in the past month and my palettes didn’t come in any kind of a cute mailer 😦 They were just wrapped in that thin foam and placed inside of a plain brown box. Boo hoo…. oh well. I still love the products. 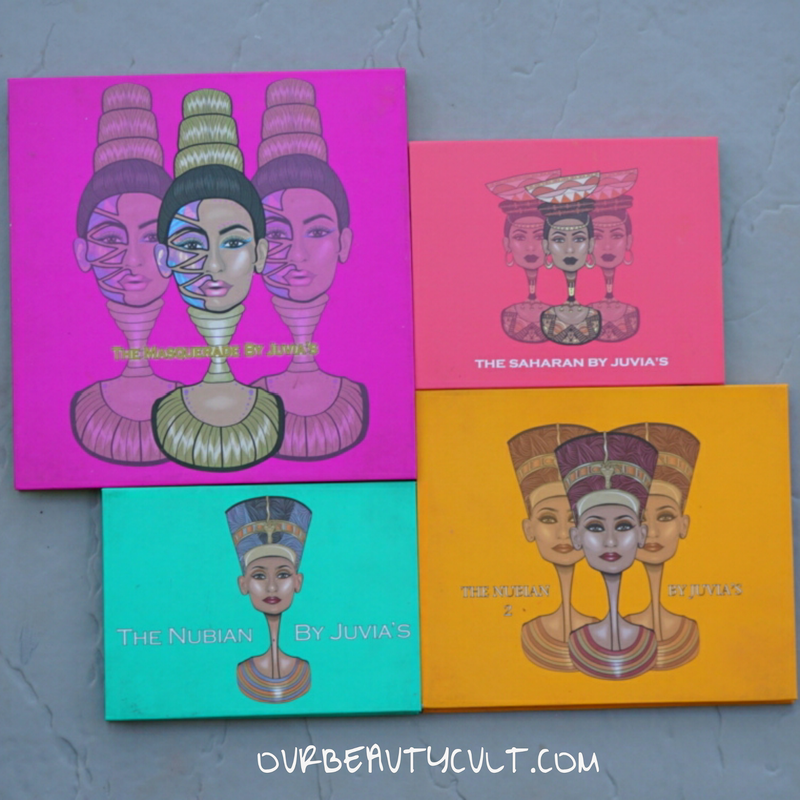 So far, I have The Nubian I & II, The Masquerade, The Saharan, The Saharan Blush Palette Vol. II. I’m getting there! I’d like to own the whole collection, but it’s hard because certain things sell out so fast!! I love the quality of the products, especially at such a great price! !